Open Futures is one of our key drivers and is a whole school curriculum initiative. It helps children discover and develop practical skills, personal interests and values which will contribute to their education and enhance their adult relationships and working lives. Provides children with the skills and the confidence they need for the 21st century. Children learn a range of practical skills in our school garden – sowing, thinning, transplanting, nurturing and harvesting. This is linked with maths (measuring, mapping, weighing), literacy (journals), art, history/culture and science. 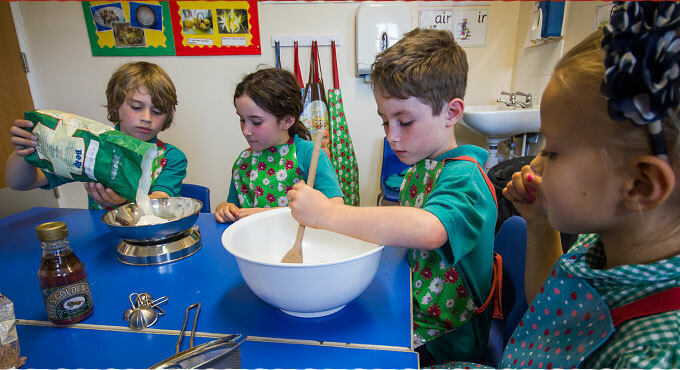 Children are trained in how to prepare and cook different food in our Cooking Kitchen. It links with healthy eating and pupil well-being, numerical skills (weighing, ratios), literacy (instructions), science (reversible & irreversible changes) and humanities (climate, soils, food from other countries). Children will be taught the skill of using new technologies (microphones, I Pads, computers) to create, edit and present animations, films, documentaries, Power Points and pod casts. This work will be shared across the school community and other Open Futures schools. Children’s thinking skills and communal dialogue will be developed through philosophy for children where children will negotiate, debate, discuss and work collaboratively to make decisions and see things from another perspective.